How TOI’s #FlirtWithYourCity conquered social media..
Times of India’s Flirt With Your City attempted to take over social media with beats, raps, and celebrity factor! 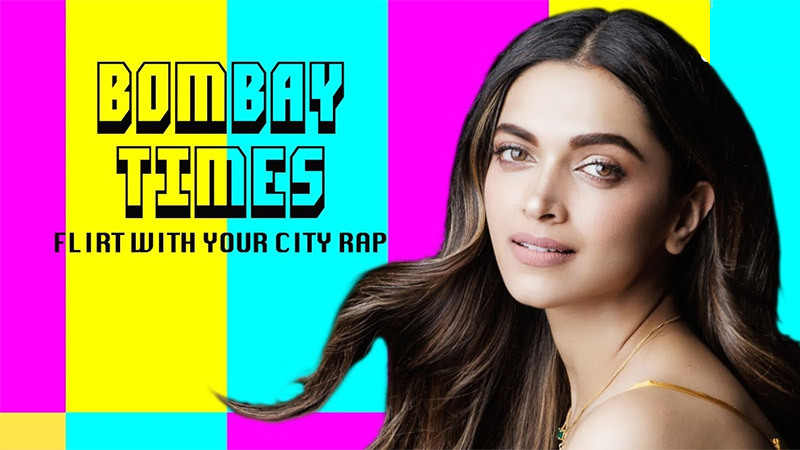 ‘Mumbai Mera Bhai Kasa Kai Bara Hai’ is something you will find yourself crooning ‘on repeat’ once you listen to the Bombay city rap created by Rawshark Films for Times of India’s latest campaign, Flirt With Your City. The foot-tapping music is created by Dhruv Ghanekar, which brings together the soul and quirk of a few metro cities of India combined with amazing vocals by talented artists. No, wait…do you think it’s just another YouTube rap single released by a budding rapper? Trust us, you are wrong. To no surprise, The Times of India launched an engaging brand campaign for TOI’s metro supplements (TIMS) esp. Bombay Times, Delhi Times, Gurgaon Times, Chennai Times, Bangalore Times and Calcutta Times titled ‘Flirt with your City’. Conceptualized by JWT India, the brand campaign is set to communicate the spicier, buzzier, trendier content proposition to its readers. The insight for this campaign comes from a simple observation- we are in a relationship with the city we choose to live in; sustained by many shared interests, shared progress and shared quality of life. But, over time city-dwellers get happy in their cocoons and self-imposed geographic confines, that inhibit their enjoyment of the city they live in. We resign to tried and tested outlets of entertainment, that restricts our exploration of the city’s pop-culture. It is time to re-kindle this romance with the city by updating our readers about the emerging daily hub for all that city-buzz. From waterholes to hunger zones, for party animals and artists and activists and everything that makes your city your city. And, because every relationship needs thrill to thrive and shared values to sustain, TOI’s metro supplements (TIMS) urge you to ‘Flirt with your city’. The narrative of the campaign uses Rap as the soundscape that draws from the rituals of each city, sounds of the city surroundings and edgy lyrics as the film wears a city avatar. The campaign is launched as a series of short films that portray their respective city’s nuances and showcases many celebrated names for their respective city like Deepika Padukone, Katrina Kaif, Vijendra Singh, Prosenjit Chatterjee, Rituparna Sengupta, Abir Chatterjee, Shruti Haasan, R Madhavan, Kiccha Sudeep, Aindrita Ray, Danish Sait, Sanjeev Kapoor and many others. TOI’s social media handles including Facebook, Twitter, and Instagram started buzzing with comments, shares and likes as soon as the videos were released online. With each video garnering more than 1 million views on YouTube within two days, the clips instantly connected with the local audiences. Around 100 tweets kept pouring in every 5 hours’ time while overall the hashtag received 19,464,118 impressions and more than 3k tweets. Check out our hip new rap filled with the unexplored & much adored sounds & sights of Kolkata, giving you a million reasons to flirt with this city. Meanwhile also creating a microsite ‘City Flirt’ for the five metro cities, TOI introduced a contest wherein it asked people to participate and share their ways of flirting with their favourite city. 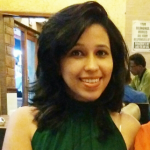 Rules of participation are laid down on the site (https://flirtwithyourcity.com/Bombay#flirtwithyour-city) and a few best reader entries from #FlirtWithYourCity are also featured on it. Apart from this, the media company also roped in stars like Sonam Kapoor, John Abraham, Katrina Kaif and Ravi Dubey to speak about the city they adore and how do they flirt with it. The campaign also garnered user support. A few lucky participants were granted an opportunity to get featured in dance videos alongside Shantanu Maheshwari and other celebrity dancers and shake a leg on the exclusive city raps- whether it be dilwaale to dancewale of Delhi Times or Mumbai, mera Bhai of Bombay Times. The activity is a part of inviting every city resident to add their bit of the story to the campaign through user generated content. Times of India have been reviving their social media strategy time and again winning honours for extraordinary well executed campaigns like #NoConditions Apply: Shindoor Khela launched in Kolkata. The campaign’s concept was to counter gender inequality and call attention towards social inclusion in celebrations. Upgrading itself with time, TOI has also been more focused on youth creating content targeting the Gen Z population with initiatives like ‘Lead India; online thereby driving growth and popularity digitally. Through next couple of months, TOI will bring forth many on-ground activities that allow the city residents to explore the city rituals more like city crossword, flirt trails, etc. and share using Flirt With Your City.